The Fluke 721 Series of products are ideal for gas custody transfer measurements with ranges, accuracies and capabilities specifically tailored to address gas custody transfers. The Fluke 721 Series has an optional RTD probe for a complete solution for testing flow computers and instruments used in gas flow measurement. The Fluke 721 Dual Pressure Calibrator is ideal for natural gas custody transfer applications. To test a custody transfer flow computer the user needs to test and calibrate three key variables or devices, static pressure in the gas pipeline (0-1500 psi, 0 to 100 bar typical), the difference in pressure across a calibrated orifice (0-10 psi, 0 to 760 mbar differential pressure typical) and the temperature of the gas flow, typically ambient temperature (-40 to 50C). 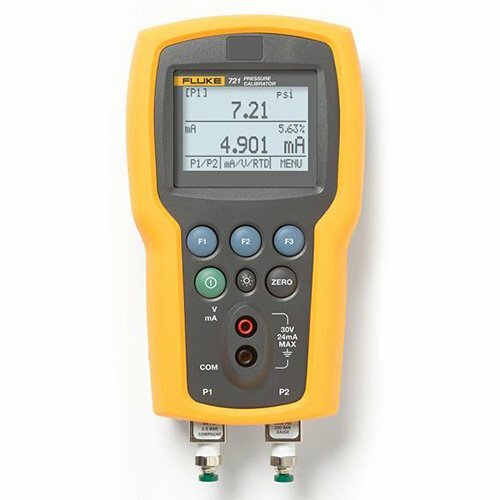 The Fluke 721 can be configured with input sensor ranges that best match the static and differential pressure as well as the temperature of the gas flow to perform a complete test of the flow computer and its’ input devices.